Over the past week, there has been lots of news about the uncertain future of BlackBerry, the impact of it shedding jobs and speculation about the impact to the community and the tech future of Waterloo Region. I couldn’t help but reflect back on why I returned to this area. Nearly two years ago, as I sat in gridlock in Toronto struggling to pick up my daughter from day care on time, I had a revelation. I couldn’t scale a business and a family in Toronto, given that both my wife and I were busy professionals. I loved Toronto for many reasons but ultimately couldn’t reconcile spending 20 hours on the road each week instead of spending that time with family, my business or taking care of myself. Once we made the decision, we knew what we had to do. We loved our urban lifestyle, but it was time to return to our hometown to achieve a better work/life balance. 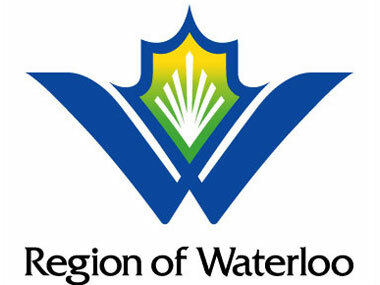 I spent the first 25 years of my life living in Waterloo Region. I went to high school in Waterloo and drove past Research In Motion (now BlackBerry) when it only had one building (not a sprawling campus). Before even starting school, I was able to go to computer camp and learn from some great minds showing off the first iterations of a GUI in the early 80s. I got my first computer when I was five years old and didn’t look back. I progressed through school, and ultimately attended both University of Waterloo and Wilfrid Laurier University. Upon reflection, I don’t think I realized how much this area had to offer to others and myself. The plain reality is that there is a significant talent pool and two internationally recognized universities creating high-quality engineers, programs and business grads. Historically, it has been a hotbed for technology in Canada, and that has only increased as more startups flock to the community. It has reached a point of critical mass in the past 5 years. In June of 2012, I founded my company Printchomp. One of the first decisions I made was to base my company in Waterloo Region. I did so because I saw huge opportunity in the area. When people hear the word “startup,” they automatically seem to think of Silicon Valley in California, but as much as I love the Valley, I realized the benefits of being in Waterloo Region. There is an amazing wealth of talent coming out of University of Waterloo, Wilfrid Laurier University and Conestoga College. This is a huge boon to companies looking to grow. The University of Waterloo co-op program is one of the most aggressive for placing quality talent in quality companies around the world, and the biggest companies of the world know that. Evidently, I am not the only person who thinks so. Jack Dorsey (Twitter/Square) was in town two weeks ago and recently announced the new Square office in the area with plans to expand. “We’ve seen this in a lot of other college towns … but this one is quite special,” said Dorsey. He sees the same thing many others do: Amazing raw talent. Google, Electronic Arts and McAfee (among many others) aren’t here by accident. As of 2011, Google established a 34,000 square foot facility in the area with regular rumblings of further expansion, which came to light yesterday as Motorola/Google plans to open an office. There are more than 240 foreign-owned firms that call Waterloo Region home, and have set up shop here due to the access to highly skilled and educated individuals. Aside from these companies, there are countless other homegrown success stories from Descartes, Open Text, Christie Digital and a rising new star in Desire2Learn. These established players are coupled with many hot startups including Kik, Vidyard, TribeHR, Embium, Enflick, Titan File, Thalmic Labs and Sweet Tooth. At the same time, I return to this community as it is reaching a crossroads. The mighty giant that helped bring further international notoriety to the community has been humbled. BlackBerry went from an $80 billion market cap to the current offer by Fairfax Capital for 4.7 billion. To say that this won’t be felt in the community would be, I believe, overly optimistic, but focusing only on the potential downside here is missing the forest for the trees. BlackBerry has invested into the community for over 30 years and those investments are not going away. Those investments include multiple world-class facilities. These include the Perimeter Institute, CIGI (Centre for International Governance Innovation), and the Institute for Quantum Computing, with a focus in nanotechnology plays an important role in another emerging field. These institutions were put in place by the founders of RIM in conjunction with the universities and community and will continue to deliver dividends into the future. When I left the community almost a decade ago, a small organization called Communitech was holding weekly lunch-and-learns in a local hotel conference room. It has since morphed into an international brand, bringing in dignitaries and business leaders from all across the world working with CTT (Canadian Technology Triangle) and C100 to grow the Waterloo Region into the technology hub that it is now. One of the things that changed in the last five to 10 years has been the level of interaction with other technology ecosystems which only fuels further growth. Whether it is within Canada or internationally, more people are taking an interest and interacting with the ecosystem. Since moving back three months ago, I meet one hungry entrepreneur after another. I am heartened that this heralds a bright tech future in Waterloo Region beyond the platform that BlackBerry and many other institutions have helped provide. I have spent a fair amount of time in Silicon Valley in the past 10 years and the amount of Canadian influence there is growing (the Maple Syrup Mafia, as we call ourselves), as is our worldwide influence in the tech space. To classify what is going on in Waterloo Region as just a story about BlackBerry is truly a mischaracterization and missing the bigger picture. Yes, it is definitely a blow to the community. There will be some talent that relocates, but the majority of the talent will join a new workforce of many other established or up and coming technology companies in the area. Whenever you have major job losses there are negative impacts to real people and their families. That said, there is a far bigger story emerging. Waterloo Region will continue to contribute to the world technology scene. As with any environment, we will naturally see some ebbs and flows. It will take some time to digest and chart a new path forward, but the community and the infrastructure that have been set into motion are rock solid. The world is watching, and Waterloo Region is ready to step up to the plate once again and deliver. Joseph Puopolo is the CEO and founder of Printchomp.